This is a life insurance policy that provides coverage for death or humane destruction due to accident, illness or disease and also includes theft. Limited emergency colic surgery coverage is included for qualifying horses at no additional charge. This coverage can be added to the mortality coverage and offers reimbursement for veterinary bills, including surgeries, as a result of accident, illness or injury up to a pre-determined limit. Coverage is available on horses as young as 30 days old up to 20 years old and is available regardless of the mortality value of the horse. This coverage can be added to the mortality coverage and offers reimbursement for veterinary bills for surgeries done under general anesthesia up to a pre-determined limit. Coverage is available on horses as young as 30 days old up to 20 years old and is available regardless of the mortality value of the horse. This coverage is more limited and less expensive than the above Medical coverage. This coverage can be added to the mortality coverage and offers reimbursement for veterinary bills for treatment of medical or surgical colic up to a pre-determined limit. Coverage is available on horses as young as 30 days old up to 20 years old and is available regardless of the mortality value of the horse. This coverage is more limited and less expensive than the above Medical coverage. This coverage can be added to your mortality policy if your horse will be traveling outside of the Continental United States and Canada. It extends the existing policy so coverage is provided while the horse is abroad & while on the plane. Advance notice is required & not all locations are eligible for coverage. Provides limited coverage if you horse becomes permanently & totally incapable of performing it’s use as listed on the policy. Strict health and performance requirements must be met to be eligible for this coverage. Payment of a claim may require that you surrender ownership of the horse. Changes the basis of loss payment from actual cash value to an agreed value basis. Guarantees that the mortality portion of you policy will be renewed at the current value and without a mortality exclusion regardless of the health or soundness of the horse. Current paperwork, payment and compliance with the policy terms are required. Provides coverage if your stallion becomes permanently impotent or infertile due to accident, sickness or disease. Available to proven breeding stallions only & payment of a claim may require that you surrender ownership of the horse. 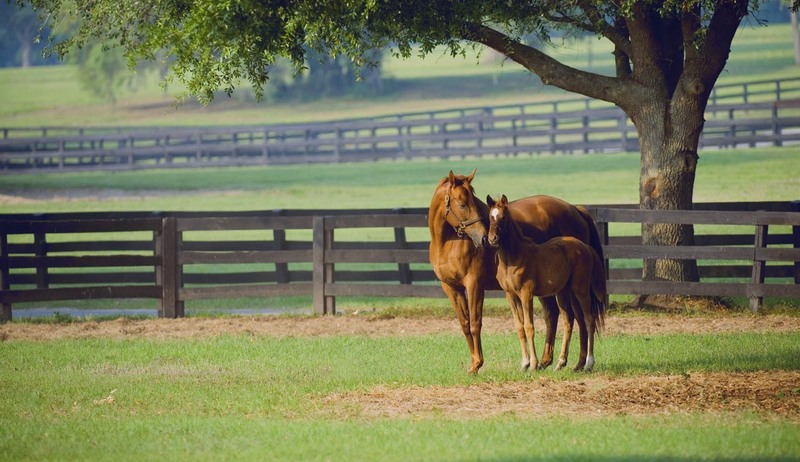 Provides coverage for the loss of an unborn foal & extends for a set period of time after birth. The mare must be confirmed in foal at the time coverage is started & the mare’s complete reproductive history must be provided. This coverage is a less expensive alternative to mortality coverage. It provides coverage for death due to a specific list of causes such as fire, lightning & trailer accidents. Optional coverages such as medical or surgical are not available with this coverage. This comprehensive policy provides coverage for your house, barn and farm structures, your household and farm personal property and equipment as well as your personal & commercial liability for your equine business. With this type of policy you would not need a separate home owners policy. This policy provides coverage for your commercial equine activities such as boarding, training, breeding or lessons as well as liability coverage for your own horses. This policy does not provide any property coverage. This policy provides coverage if you are liable for injury or death to a non-owned horse in your care. This policy provides coverage for an organized riding club’s activities including horse shows, clinics, trail rides, expos and parades. This short term policy provides coverage for an organized show or event when an annual policy is not needed. This policy provides coverage for loss to scheduled tack and equipment such as blankets or show drapes. This policy is designed for the horse owner who is not engaged in any commercial equine activities. It provides coverage if you horse were to injure someone or cause third-party property damage.